Its been a while I wrote anything on Positioning. The network architecture for the positioning entities can be seen from my old blog post here. 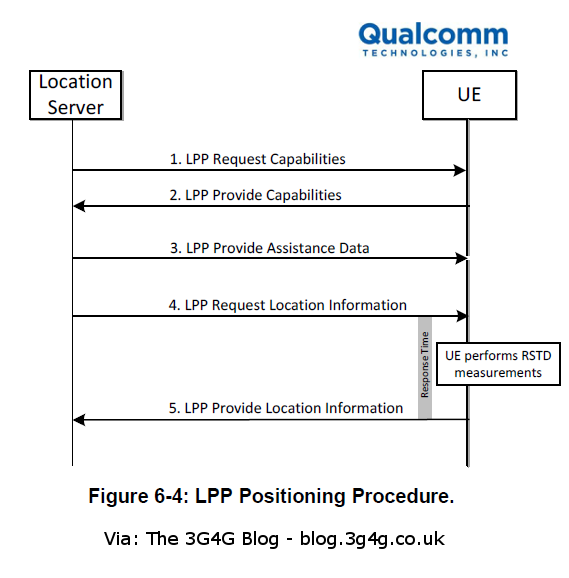 Qualcomm has recently released a whitepaper on the OTDOA (Observed Time Difference Of Arrival) positioning. Its quite a detailed paper with lots of technical insights. 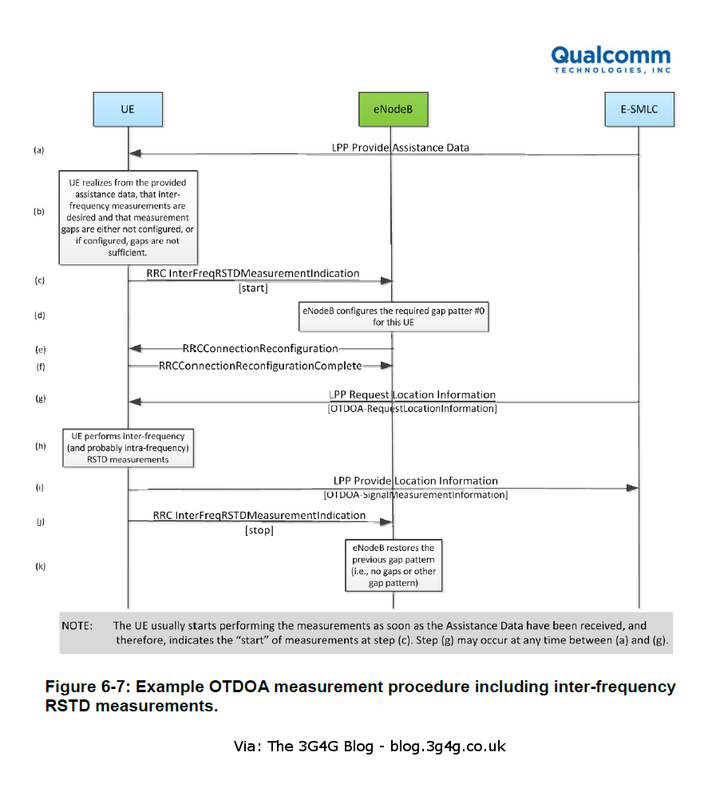 There is also signalling and example of how reference signals are used for OTDOA calculation. Have a look at the whitepaper for detail, embedded below. LA-LTE stands for 'Licensed Access' LTE. In fact the term that has now been adopted in a recent 3GPP workshop (details below) is Licensed Assisted Access (LAA). 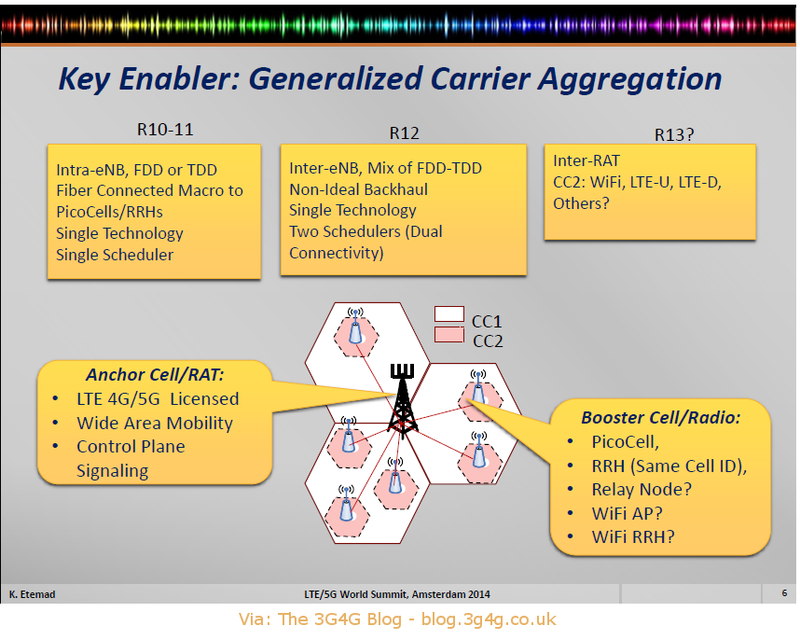 Couple of months back I blogged in detail about LTE-U here. Since then, 3GPP held a workshop where some of the things I mentioned got officially discussed. In case you want to know more, details here. I have to mention that the operator community is quite split on whether this is a better approach or aggregating Wi-Fi with cellular a better approach. The Wi-Fi community on the other hand is unhappy with this approach. 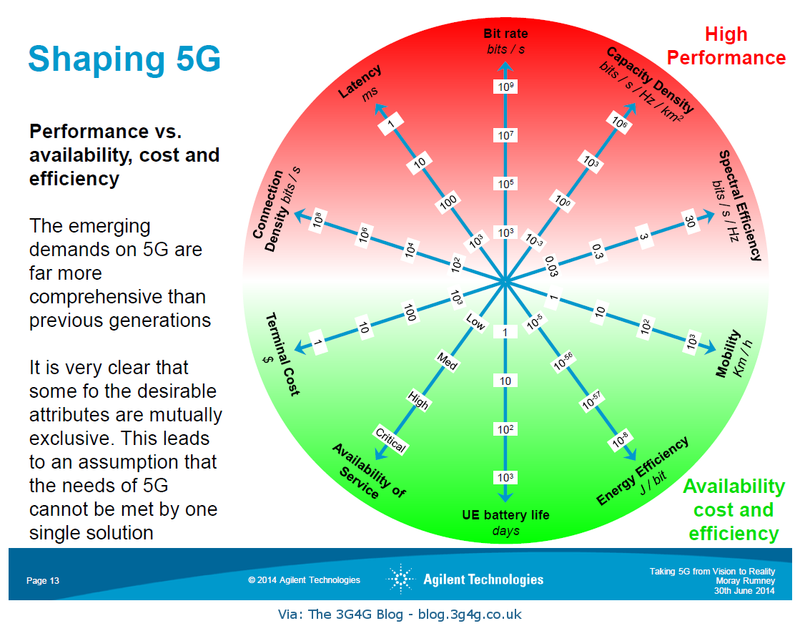 If cellular operators start using their spectrum than it means less spectrum for them to use. I wrote a post on the usage of Dynamic Spectrum Access (DSA) Techniques that would be used in such cases to make sure that Wi-Fi and cellular usage does not happen at the same time, leading to interference. Here is a presentation from the LTE-U workshop on Use cases and scenarios, not very detailed though. Finally, the summary presentation of the workshop. As it says on the final slide "The current SI proposal focuses on carrier aggregation operations and uses the acronym LAA (Licensed Assisted Access)", you would be seeing more of LAA. One very interesting presentation from the LTE World Summit was about Improving the cell capacity by using unlicensed and shared spectrum opportunistically. Kamran Etemad is a senior advisor to FCC & UCMP and even though he was presenting this in his personal capacity, it reflected some interesting views that are quite prevalent in the USA. If you don't know about Dynamic Spectrum Access Schemes, I wrote a post on the Small Cells blog here. 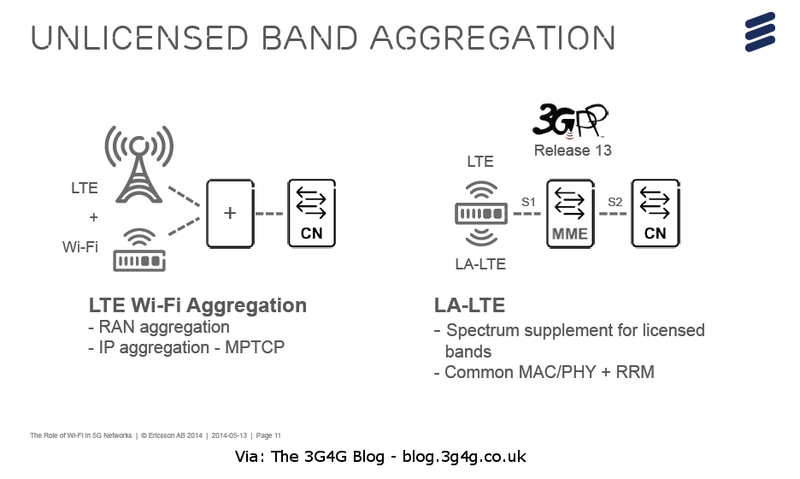 The slide above is quite interesting as it shows the possibility of a 'Generalized' Carrier Aggregation in 3GPP Release-13. Personally, we believe that LTE + WiFi working together will be far more successful than LTE + LTE-U (unlicensed). As the blog readers would be aware, we have been pushing our vision of LTE + Wi-Fi working together; which we are calling as 4.5G. In case if you have not seen, our whitepaper is here. 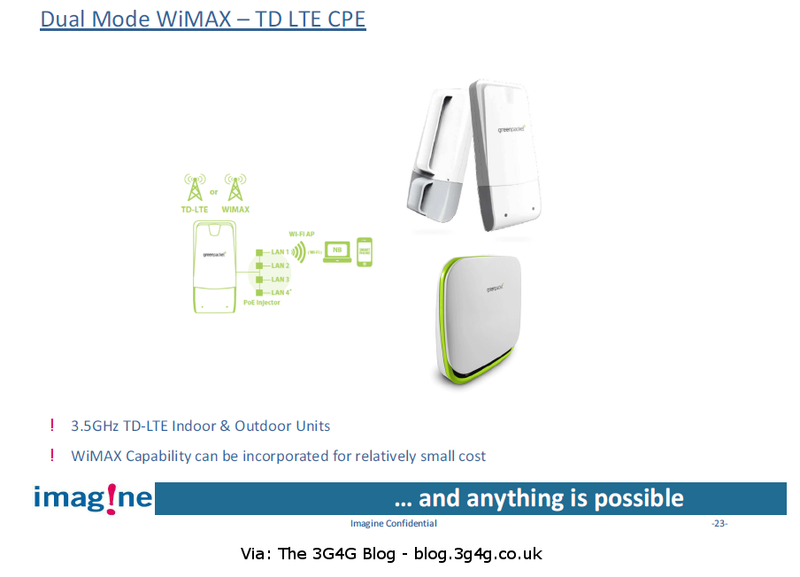 I was glad to hear this case study by Mike Stacey where they have a WiMAX network already deployed and are in process of moving to TD-LTE. Along with the technical issues there are also business and customer issues that need to be taken into account while doing this technology swap. Surprisingly 3.5GHz is also not a very popular band because there are very few deployments in this spectrum. On the other hand, most of the companies worldwide that have been able to get their hands on this spectrum, generally got a big chunk (60-100MHz) so they would be able to do CA easily (bar the technical issues of Intra-band interference). Anyway, the presentation is embedded below. Hope you find it useful. If you know of similar experiences, please feel free to add them in the comments.